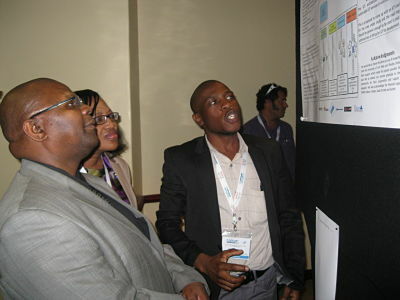 The 14th annual Southern African Telecommunications Networks and Applications Conference (SATNAC) was held at the East London International Conference Centre from the 4th to the 7th of September 2011. This year’s conference entitled “Social Communications – Challenging the Limits of Technology Innovation” was attended by 398 delegates from industry, academia and operators in the Information Communications and Technology (ICT) sector. Amidst the 76 full papers, 28 WIP presentations and 40 posters presented at this year’s event, 2 full papers and 6 poster presentations were delivered by University of Fort Hare and Rhodes University researchers, in relation to the Siyakhula Living Lab. The work by SLL researchers is coincidentally in line with commitment by the Government, as highlighted by the Honourable Deputy Minister to develop a strong base for information society and knowledge economy, especially for rural communities.